Kerstin Kollmann a.k.a. 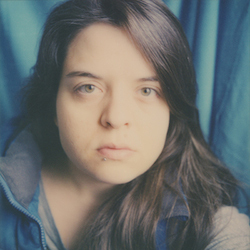 Kay is a creative from Vienna, Austria, who is into programming, feminism, (analogue/instant) photography and film/TV. A graduate of Computer Science with a background in journalism, Kay is enthusiastic about all kinds of projects at the intersection(s) of art, technology, media and culture, and always happy to hear from folks wanting to make such projects happen.